Cleveland is ethnically diverse and these international influences have had an impact on all facets of city life including cuisine and shopping, adding to the tourist appeal of this fascinating city. The city of Cleveland contains a wealth of fine architecture, historical attractions and museums, and its continual regeneration has seen it become increasingly popular with visitors. Travel guides and travel tips are available at visitor information centers in Cleveland or online before arrival. 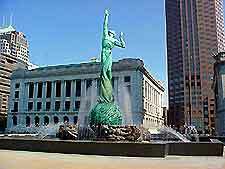 Cleveland offers excellent tourist information facilities and there are plenty of online sources providing free information, guides and travel tips. 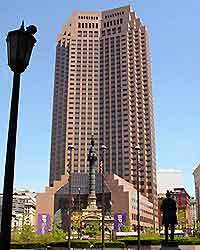 Tourist information centers and travel agencies in Cleveland can assist you with travel information and details on attractions. Free guides, brochures, maps and tourist magazines are often distributed at these offices and in hotels throughout the city. More than 300 languages are spoken throughout America, including approximately 170 languages that are indigenous to the area. The most commonly spoken language in Cleveland, Ohio is English and different nationalities are well represented in America. 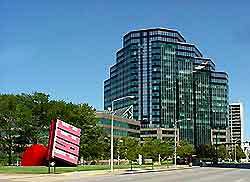 Many other languages are on offer at language schools in the Cleveland area of Ohio. For information on whether you will require a visa for travel to the USA, Ohio and Cleveland, it is best to check with your nearest consulate or embassy for information specific to your country. 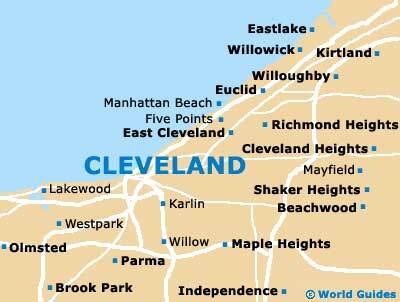 There are several visas available, with visitors to Cleveland usually needing a non-immigrant visa. Citizens from Visa Waiver Program countries are allowed to enter America without a visa, providing they can meet specified requirements. It is always sensible to apply for visas well in advance. There are a number of categories of non-immigrant visas available for those intending to work in Cleveland, Ohio and America temporarily. Working without a visa is against the law and there are penalties for those caught in breach of this. People intending to work in Cleveland need to apply for the relevant visa in their home country and may also require a letter from their prospective American employer. Many restaurants in Cleveland now operate a strict 'no smoking' policy and the attitude of locals towards smoking in public places has changed dramatically in recent years. Smoking is now also no longer allowed on public transportation in Cleveland, including buses and trains. Before smoking in public areas in Cleveland, it is often a good idea to check with those around you first. Tipping is commonplace in Cleveland and in many cases required, unless the service has been particularly poor. Restaurants in Cleveland expect a tip of between 10 to 20 percent, as do taxi drivers. Bars in the city also appreciate tips and often leave a tips trays on the counter. Hotel staff in Cleveland, including luggage carriers and hotel porters, also expect a small tip, which can be as little as a dollar or two.